Helping Native American and Alaska Native students in K-12 and college programs has pretty much been Kelly LaChance’s life work. Now the UO and her tribe are returning the favor. LaChance is the first recipient of a new Future Stewards Program grant to help her complete a doctorate in education and further her work in Indian education. The idea behind the program is to help Native American students earn advanced degrees and develop skills and knowledge that will help them help their tribes. The Future Stewards Program is a joint effort between the UO and the nine federally recognized tribes in Oregon. The UO Graduate School agrees to cover two years of graduate student tuition for award recipients, and the student’s tribe is asked to cover mandatory student fees and the cost of health insurance and provide a stipend for other expenses. LaChance already was working at the UO in the Sapsik’wala Teacher Project and has been attending graduate school since summer 2015. She heard about the program at a meeting between the university president and Tribal leaders in September. Within two weeks, she and representatives of the Confederated Tribes of Siletz Indians put together an application, and she was in. LaChance is pursuing a doctorate in educational leadership with an emphasis in equity leadership in the College of Education’s Department of Educational Methodology, Policy and Leadership. After completing her degree, she plans to continue working in Indian Education focusing on tribal, federal and state initiatives. Growing up in Siletz, LaChance started working for her tribe when she was 14 years old in summer youth programs. She went on to work in various tribal positions before obtaining her undergraduate degree from Southern Oregon University, where her senior capstone project was developing pathways of success for Native American and Alaska Native students in higher education. She attended Colorado State University and graduated with a master’s degree in education. Her master’s program focus was preserving the tribal voice in cultural education. She created a model for tribes to use in development of their cultural education programs. LaChance is a first-generation college graduate. That has become a tradition, with her oldest daughter graduating from the UO last year and her youngest graduating this spring. The aim of the Future Stewards Program is to help more students like LaChance get an advanced education and return to their tribes to support traditional culture, build education opportunities and promote economic development. Up to five awards will be made each year. 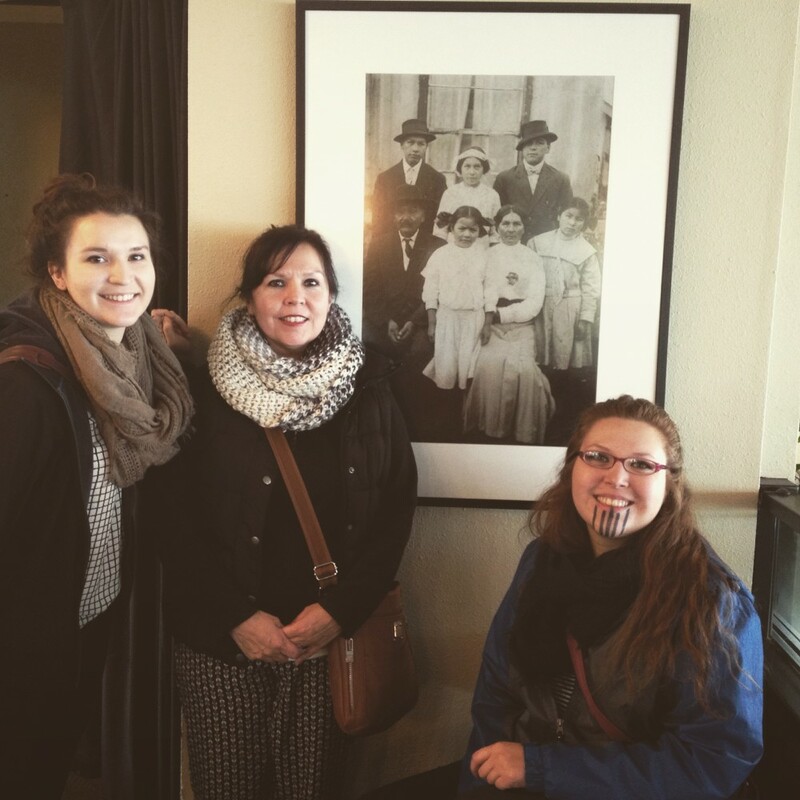 The Future Stewards Program was announced as the UO celebrates Native American Heritage Month. A story on other events and a video are available here. For this academic year, the awards are available to current graduate students, and funds are still available. Anyone wishing to apply must submit application materials by Dec. 1; information is available here. For next academic year, new and current UO students may apply by March 1, 2016. For the 2016-17 academic year, graduate students new to the UO will have priority. Applications for next year’s awards are due by March 1. If funding remains after initial awards are made, a second round or applications will be considered, with a deadline of Sept. 1.